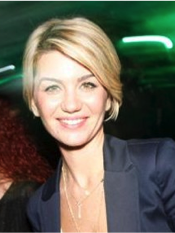 Tugba has been Business Development & Digital Marketing Director at The LifeCo since Feb, 2015. After Chemistry degree at Marmara University, she completed a Certificate program in Business & Management at Baruch Collage, NY. She also has an MBA degree from Bilgi University (2011). Tugba has worked in Sales & Marketing for 10 years focusing on CRM (Acquisition & Retention), Campaign, Product, Project & Partnership Management in a bank (Hsbc), multi brand online retailer (Trendyol) /mono brand online & offline retailer(Mavi). Her main responsibilities included determining business needs and developments accordingly, planning for necessary actions to improve customer acquisition & buying experience, leading & managing communications between all related departments and offline & online channels. Tugba wants to pursue her career as a managerial partner and consulting professional for related subjects in a local or multinational company, which will challenge her further, extent and strengthen her knowhow while contribute to the professionals who around her.